My very first memory of piano is sitting quietly, listening, and watching my older brother’s lessons. He was playing a simple piece of music in a five-finger position, but I liked the sound of it, so I would listen carefully to what he played, working it out by ear later at home. This happened a few times until on one occasion my Mother heard me rehearsing, mistaking my playing for my brother’s, which now retrospectively speaks volumes for his playing, and why he ultimately stopped. She arranged for me to start lessons. Inspired might be the wrong word, but I was inspired to start teaching by my secondary school music teacher, Ian Claydon, and Sue Rowley who delivered A-Level music during my sixth-form studies. By the time I reached secondary school, I had already achieved my Grade 6 and was working towards my Grade 7. As you can imagine, first-year music was somewhat – to be diplomatic – uninspired (sorry Ian! ), being a mixed ability class. Ian kept me occupied by letting me help other students. Before long, I was the second point of call in the class if Ian was unavailable. When Ian retired as the Head of Music, Sue Rowley, his successor invited me to teach a few lessons to younger students during my free periods in sixth-form. It was unpaid work as a mentor, but I soon grew to love it. After sixth-form, I took a gap year and officially became a peripatetic tutor at the school. Before long, I had established my first teaching practice traveling to my students across Greater London. I took it upon myself to ‘get qualified’ so I enrolled in a three-year music degree programme, gaining my teaching qualification a year later. While studying I met my (now) wife; when we graduated, we went into business together, teaching from our home in Colchester, Essex, which we have now been doing so for seven years. Time really flies when you’re having fun! I have had relatively few teachers that would be considered master-pedagogues, but one, in particular, changed my life significantly. A remarkable woman, inspirational person, and phenomenal pianist, Lesley Young was Head of Keyboard at Colchester Institute since the early nineties until retiring in 2016. She would be considered my first ‘real’ piano teacher; that is not to detract from other teachers that I had received lessons from previously while young, but the ‘real’ here is only to differentiate the difference between a general music teacher and a piano teacher. She valued more than anything else the psychological intelligence of her students, helping us to understand what our mind is doing while we play. “Everything we do at the piano is cerebral; before we play a single-note, we must understand what our mind is doing. Three years of study was not enough to learn all this person had to offer me, but in this brief time, she found my Dyslexia and helped with referrals and a diagnosis. She was the epitome of clarity after years in a fog. This is a tough question; nothing exists in isolation, so everything is influential. My life, my experiences, my teachers, and my own personal life-lessons learned, influence every element of my teaching. As teachers, we deal in the business of shaping human beings, which we can all agree is a continual process of growth and learning; our students grow, and we do also. If anything, the actual teaching of my students has taught me the most. Each student that is taught influences the next lesson. It would be arrogant as a teacher for me to believe that what we have learned regarding our craft as practitioners are more important than the human being we have sitting before us. We can learn a lot from our students, in particular, some of the more challenging ones. So as oxymoronic as it may sound, my students influence my teaching; and quite drastically so. When reflecting on my teaching from 2003, in comparison to my teaching now in 2017, what amounts to a few thousand hours of teaching, the one overwhelming influential difference over that time is exposure to students, their unique difficulties, then reflecting and helping them overcome them. Respect, reason, patience, discipline and obedience; however, they are almost dirty words in today’s society. The piano – or for that matter, the larger subject of Music – arrives from a time when people had to be disciplined. It took a considerable amount of time to do anything; usually, by hand, and without shortcuts. This meant the person working at it needed to have patience and more importantly the discipline. To learn anything requires a person to be reasonable, and able to listen and carry out instructions. My students are welcome to disagree with me, I actively encourage it as makes for interesting discussions. However, if they simply refuse to carry out my instructions there is little point to the interaction. Today, particularly in western countries, we as teaching professionals have to contend with student-centric learning, which in itself is not bad, however, it does create problems. If you give a child the open choice of eating what they want, they would likely indulge in something fatty or sugary … for every meal; which is damaging to long-term health. As teachers, parents or guardians, it is our responsibility to teach them that you need the discipline to resist these impulses. Before reaching this point, we must teach obedience to trust out guidance due to experience and longevity. The first lesson I teach my students is to listen to what I say and to carry out my instructions even when they don’t think they need to. Without this fundamental element, it is not a lesson, and they might as well not have my input. 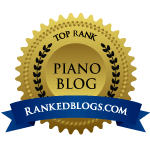 What are your views on piano exams, festivals and competitions? Exams and competitions serve a function, but they should never be the soul purpose and end-goal of the activity. I often would encourage my students to take part in concerts before an audience than enter for exams or competitions. My reason for this is, when the goal becomes solely to pass an exam or win a competition, it can create an extremely narrow path for learning to obtain a certificate or trophy; this all creating false confidence. As teachers, we have all encountered the learners who arrive at lessons touting various graded numbers, who then fail to carry out simple tasks, only for them then to avoid responsibility for the gaps in knowledge. This is false confidence; though an exam was passed, the learning was specific to passing the exam, so the validity of the test is always then questionable at best. I am painfully aware of the irony; myself holding several qualifications, also entering a number of competitions before, during and after studying. However, they were not, and still are not the ends of my learning, but a means to test it. I passed or won, indicating that on that day, at that time, I was ready. You pass the exam when you are ready, but, you are not ready just because you passed an exam. I spend an insurmountable time with my under-fives working on ‘pulse’. This is often overlooked in transfer students I encounter, or felt unneeded by some newcomers, but, without a pulse, music will always fail to arrive. Even advanced players can come unstuck if they fail to count measures accurately. This is also a problem with people who profess to not being able to sight-read music. It would be analogous to trying to build a house on an unreliable foundation or to paint on a moving canvas. An advanced student, who is truly advanced is always willing to go back to basics in order to rebuild. A beginner takes a long time to build anything, so they are always reluctant to lose it once they finally built it. The beginner will also rush ahead in an attempt to catch up, only having to go back and do it again after they realise that there are no shortcuts. Do you teach adults? If so, what are the particular challenges and pleasures of teaching adult learners, in your experience? I do teach adults, and it is always a pleasure. From my experiences, the main challenge I encounter is getting them not to be so hard on themselves, and not to make comparisons to other musicians. The over-compensation that is created from these two actions are devastatingly self-defeating, causing many to give up before they try. If you are an adult reading this, it is never too late to start learning a new skill; however, be patient and remember you are an adult with responsibilities, don’t compare yourself to others, particularly children. What are your thoughts on the link between performing and teaching? Not all performers are teachers, but all teachers are performers. Every lesson is a performance; to bestow knowledge to another is a defacto performance. Not a single lesson has gone by without me playing the piano; whether it be a single note or phrase, or demonstrating an entire piece. It would be hypocritical as a teacher to teach a performance art and not perform, yet expect our students to do so. Furthermore, how can we make any claim to know how to teach music to a student if we have not yet discovered it ourselves fully. That would be like offering advice on how to traverse a vast ocean by boat, without ever sailing, seeing a boat or for that matter, ever seeing the ocean oneself. Dylan Christopher has established himself as a pianist and music educator in Colchester providing piano lessons, workshops and concert-performance opportunities to aspirant musicians young and old. I was a part-time piano student at Trinity College of music in 1967. My teacher was Joan Barker. She was the best teacher I ever had. I made a lot of progress in a short time.